An opening ceremony to mark the official beginning of Tech Forum & ebookcraft 2019 will be performed by Whabagoon, an Ojibway Elder of the Lac Seul First Nation. This will be a hands-on workshop where participants take on a few of the perennial challenges unique to digital publishing. No advance preparation will be required to participate in coding and discussing solutions in real time. Harnessing the combined experience of the ebookcraft community, we may even compile solutions together that are better than any of us could develop individually. This session can be enjoyed with or without participating in this year's So You Think You Can Code competition and will appeal to all skill levels, from beginners testing their mettle to pros ready to learn new tricks—or maybe even show off a little. [BYOL] Participants will need to bring a device, but code and conundrums will be provided. Learn about using XSLT to produce EPUB2 and EPUB3 books from XML or XHTML input as well as PDF for print with CSS or XSL-FO. You don't need previous XSLT experience but a willingness to look at a little code will really help. XSLT can be a functional programming language or a simple template language or anywhere between. We’ll focus on the newer features of XSLT, after a quick overview. [BYOL] If you bring a laptop with Oxygen XML Editor or Saxon 9 HE ready to run, you can follow along with some examples, and if not, that's fine too. Competing in So You Think You Can Code? All workshop attendees are eligible! This particular workshop will touch on the following criteria, which will be used to judge your EPUB submissions: meets accessibility standards; rich navigation; adherence to standards; errors caught and fixed; and HTML updated to provide proper semantic markup. One workshop attendee will win a grand prize that includes $2,500 from Rakuten Kobo. Find out more about the competition and how to participate here. Competing in So You Think You Can Code? All workshop attendees are eligible! This particular workshop will touch on the following criteria, which will be used to judge your EPUB submissions: rich navigation; adherence to standards; errors caught and fixed; HTML updated to provide proper semantic markup; and semantic inflection. One workshop attendee will win a grand prize that includes $2,500 from Rakuten Kobo. Find out more about the competition and how to participate here. What does it take to level up an ebook's accessibility? What if it's an EPUB 2 made with the best intentions five, six, or 10 years ago? Bring your oldest, dirtiest EPUBs to this workshop to learn how to fix your backlist bestsellers, to shine them up to a newer EPUB specification and ready for the diverse needs of a broad spectrum of readers. Laura Brady is an ebook developer, working at the House of Anansi Press managing the Cross-Media department. She is into ebooks, accessibility, dogs, and baseball. In her spare time she helps plan ebookcraft and follows the Blue Jays. She also probably tweets too much. Working files are attached to this session (scroll down). Competing in So You Think You Can Code? All workshop attendees are eligible! Paying attention in this particular workshop could help you take your submission to the next level through the addition of an audio component to your EPUB. One workshop attendee will win a grand prize that includes $2,500 from Rakuten Kobo. Find out more about the competition and how to participate here. Competing in So You Think You Can Code? All workshop attendees are eligible! This particular workshop will touch on the following criteria, which will be used to judge your EPUB submissions: rich navigation; adherence to standards; meets accessibility standards; and HTML updated to provide proper semantic markup. One workshop attendee will win a grand prize that includes $2,500 from Rakuten Kobo. Find out more about the competition and how to participate here. Naomi Kennedy is here to gently guide you down the slippery slopes of the SVG image format as it pertains to ebooks. No prior SVG knowledge is required — Naomi will go over what it is, how and why it's used, and demo tools to create and edit these image files. [BYOL] Attendees will have the chance to code along with Naomi as she creates an SVG file and places it in an ebook to demonstrate its functionality (or lack thereof). This hands-on workshop will also touch on the differences and similarities between CSS and SVG, accessibility, common problems and their solutions, and supported features. Meet up with your fellow workshop attendees and apply the day's learnings to your EPUB submissions for So You Think You Can Code 2019. All workshop attendees are eligible to compete and the deadline to submit your revamped ebook is Sunday, March 24 at 11:59 p.m. ET. Power outlets, snacks, energy drinks, and moral support will be provided. Learn more about the contest and the prizes up for grabs, including $2,500 from Rakuten Kobo. Suite 1081 at the Chelsea Hotel Toronto. Just take the 'Green Elevators' up to the 10th floor and follow the signs. EPUB has been around since 2007; EPUB 3 came out in 2011. We’re told we live in an age of digital disruption, but little has changed in ebooks since before the very first ebookcraft. What’s going on? What might the future of ebooks look like? Should we use EPUB 3.2? Will there ever be an EPUB 4? Are Web Publications real? Part history lesson, part unhinged rant, part futile attempt to predict the future, Dave Cramer will shed light, or at least heat, on the big picture. Visit kahoot.it and watch the screens at 10:35 for break-time trivia and prizes! You can find details on kahoot's accessibility features here. LinkedIn photo more than five years old? Is your go-to headshot a slightly blurry picture of you at brunch last summer? Well you're in luck! We're offering ebookcraft attendees the chance to get a complimentary professional headshot done at the conference (while you're wearing your business-casual best). Photographers Yvonne Bambrick and Robin Cymbaly are on hand to make sure you look great. All headshots will be uploaded to a group folder and available for easy downloading after the conference. Registered attendees are invited to book a 5-minute slot in advance, though bookings will remain open until the day of the conference. We look forward to capturing your eternal beauty. Tools are at the core of the daily work of book production, whether print or digital, because they directly impact our efficiency and the quality of the final product. Thanks to growing amounts of available data and the increased processing power of modern computers, Machine Learning (ML) and Artificial Intelligence (AI) have become popular tools to solve certain classes of problems. However, alongside the growing opportunities and potential advantages of applying these technologies to book production, there is also a perceived “dark side” to ML/AI that has many in the book industry worried that it will automate and replace their jobs. The panelists will share their different approaches to applying ML/AI at their companies and their outcomes, highlighting both strengths and limitations, as they consider a vision of a more automated publishing workflow. Get a firsthand look at how an ebook's accessibility features are used by people with print disabilities. Accessibility testers Karoline Bourdeau, Daniella Levy-Pinto, Ka Li, and Steve Murgaski from the National Network for Equitable Library Service have generously donated their time to show ebookcraft attendees how ebooks are used (or can't be used) in real life. Visit kahoot.it and watch the screens at 3:50 for break-time trivia and prizes! Gather your breakfast in the lower level concourse and head upstairs to the Collaboration Centre (room CR-2) to reconnect with the accessible publishing community following January's Accessible Publishing Summit in Toronto. Discuss working group opportunities and next steps, and recommit to the plan for best practices and techniques for accessible publishing. We're offering Tech Forum attendees the chance to get a complimentary professional headshot done at the conference (while you're wearing your business-casual best). Photographers Yvonne Bambrick and Robin Cymbaly are on hand to make sure you look great. All headshots will be uploaded to a group folder and available for easy downloading after the conference. Léonicka Valcius, Tech Forum speaker extraordinaire, sits down with this year's keynote speaker, Ritu Bhasin, to discuss the current landscape for diversity and inclusion efforts in the publishing industry and what can be done to drive further innovation and change. Visit kahoot.it and watch the screens at 10:55 for break-time trivia and prizes! Janet is a librarian and a IT professional who has been working in libraries with technology for 30 years. Her current position is manager of IT at the Vancouver Public Library. Jordyn will demonstrate how to sift through the piles of data — from backlist and comp sales to forecasting popularity — to find the pieces that will really sell your book. How does your book line up with current trends in genre and entertainment? How can you pinpoint which bits of data to use, and which to ignore? Where does your gut fit into your sales strategy? Find the kernel and you’ll find your answers. eBOUND Canada conducted a pilot study using a sample of ebooks published by Canadian publishers, to gauge the efficacy of adding audience-driven keywords to the metadata for a sample of fiction and non-fiction titles. Using a combination of AI and manually-generated keywords, we tracked the impact of keywords on discoverability and sales on Amazon over a two-month period. eBOUND’s Manager of Technology Shannon Culver and key consultant on the study Amanda Lee will present the results of the study, and make recommendations as to how publishers can utilize their metadata to work with vendors' algorithms and improve the discoverability of their titles. Kobo audiobooks launched in 2017 and as a QA on the project with a passion for EPUB, my first question was, “So what is the spec for audiobooks, it’s like EPUB right?” Instead of being offered a link to a spec doc, I got shrugs. Later in 2017, I joined the W3C Publishing Working Group with the hopes we’d be discussing the matter of audiobooks, and in 2018 it was decided to create a task force to figure out audio formally. I jumped on the task immediately, and in the months since we’ve made a lot of developments in the space, but the true test is whether the industry will accept our best intentions. In creating a spec where there isn’t one already the important thing to consider is whether or not your expected audience even wants it. On top of working with passionate ebook people on creating something that aligns with what the publishing industry uses already, we need to work with the industry we’re about to disrupt. We also have to consider the needs and expectations of users and user agents. There are more questions than answers. This presentation will introduce everyone to the process of creating something where there wasn’t something before, and demoing what we have done so far. Moving an online bookstore from one website to another is no small feat. Obstacles abound in this odyssey of data transferral, from hosting ebook files to displaying metadata and images, all while ensuring that design and e-commerce tools are doing their jobs both separately and when melded together. In this case study, the team at House of Anansi will share their epic tale, including the unexpected problems they encountered along the way and how they were solved or are being solved. BookNet's Tim Middleton will speak to the role BiblioShare's data aggregation service and its plugins have played thus far in guiding their ship to a new shore. Carolyn spent nearly a decade working in book publishing technology, design, and marketing, most recently as Marketing Director at House of Anansi Press and Groundwood Books. Recently she undertook a career change and now works as a front-end web developer at TWG. 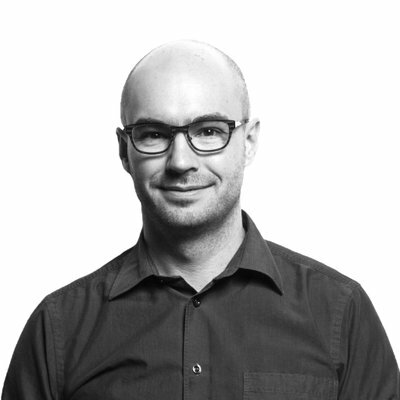 Tim Middleton is a Project Manager & Retailer Liaison at BookNet Canada. With a passion for startup culture, entrepreneurial enterprises, and disruptive technology ignited by a varied career in retail and consumer research, all things bookish remain his first and true love. 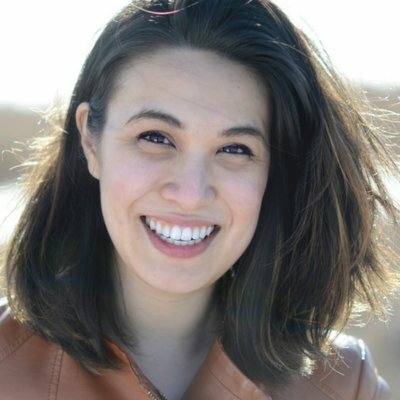 In this session, Ashleigh Gardner, Deputy General Manager, Wattpad Studios, Publishing, will explore how new technologies — such as machine learning — are creating new opportunities to discover and publish marginalized voices. Looking at Wattpad’s own Story DNA machine learning technology, this session will highlight the opportunities for publishers to diversify their slates while uncovering exciting new writers. The session will examine real-life case studies from Wattpad, showcasing recently-discovered voices that the company has identified among the millions on the platform. EDItEUR's Chris Saynor will share how Thema, the subject category scheme for the global book trade, can be used to help identify and improve the discoverability of titles suitable for a more diverse and inclusive audience. He will also touch on EDItX reports and transactional standards that are being updated for the digital age and to harmonize with ONIX 3.0 for the benefit of the book supply chain. Jessica Albert and Brendan Ouellette will discuss the many options available to large and small publishers when creating an audiobook program from the ground up. Learn how to develop an audiobook strategy, including the considerations that come with creating audiobooks in-house, how to sell audio rights, and how to work with third-parties and freelancers. Using their experiences at ECW Press and Annick Press, as well as sharing updates from other houses , Jessica and Brendan will share lessons learned and the hurdles still to overcome in the Canadian audiobook landscape. As digital project manager for Annick Press in Toronto, Brendan works with producers, voice actors, authors and industry experts to translate print content for kids and teens into exciting audiobooks. Join Shannon Culver and Sabina Iseli-Otto for an overview of lessons learned at this year's Accessible Publishing Summit. Representatives from across the North American digital book supply chain convened over two days in January 2019 for facilitated dialogue and conversation on accessible publishing. By sharing diverse perspectives, and identifying the assets and challenges of born-accessible publishing, attendees gained a deeper understanding of accessible publishing and collaborated to develop a draft set of guidelines for digital accessibility. Shannon and Sabina will present the guidelines and share next steps toward industry-wide implementation. Metadata is an increasingly important tool for book marketing and discoverability, but sometimes systems and workflows can get in the way of optimizing data. It can be easy to fall back on old patterns, formulae, etc., and get lost in day-to-day minutiae rather than making sure your expansive catalogue has a minimum number of BISACs and keywords — let alone ones that are well-researched based on customer behaviour. But making systemic changes at a large publisher takes a great deal of time and consensus-building, and time is often in short supply. So how does the individual book marketer or editorial assistant fight the Goliaths of inertia, scale, and the way things have always been done? At Harlequin, we believe the answer is not doing it alone, but rather working to find ambassadors: like-minded people in various roles. Consensus, ambassadors, and eventually lots of excitement were the keys to our project. This led to the development of a new module for metadata that will revolutionize the way we can reach consumers, market our books, maximize data integrity, and optimize data at scale. This talk will focus on the strategies we used to grow consensus, identify key opportunities for development, and eventually overhaul large systems and workflows to focus them around metadata best practices. A view across international publishers and how audio has been integrated with existing workflows. Tricia will offer insights on how you can anticipate everything from costing and estimating to contracting, rights sales, and royalties for audiobook formats. Tricia McCraney is a Projects Consultant with Virtusales, implementing BiblioLIVE publishing management software for publishers of all sizes in North America and beyond. She is the current chair of BISG's Rights Committee, and has a particular interest in book metadata. The "gatekeeping" framework of our industry is a major structural hurdle to diversity and inclusion in publishing. It is not enough to recognize our biases and stop doing harm (though that's a key first step). We need to brainstorm ways to repair the historical damage done to our cultural institutions and artists. How do we shift from "gatekeeping" and towards what attendees of SFU's 2018 Publishing Unbound conference called "spacemaking": a process that solicits, supports, and develops the work of marginalized writers and professionals? In this dynamic, action-focused session, a team of industry professionals will lead attendees in a collaborative, generative process to develop "Best Practices" guidelines for industry adoption. Annie Gibson is the publisher at Playwrights Canada Press. A graduate of the University of Toronto, Annie followed her love of theatre and books to its logical conclusion: publishing plays. The Loan Stars readers' advisory program had a big year in 2018, from welcoming hundreds of new library staff from across Canada to launching Loan Stars Jr., a new bi-monthly list of Juvenile and Young Adult titles that will debut in March 2019. Find out what else we've been up to the past year, how all those Loan Stars picks are being celebrated by the larger literary community, and how you can get involved in 2019. BNC CataList rolled out some major and eagerly anticipated developments this past year, including overhauled PDF export capabilities, to help the industry market, sell, and order books more quickly and easily. Project Manager Carol Gordon will provide a first-hand look at the latest upgrades to the system and share some of the new developments we have planned for 2019. Join Penguin Random House Canada's Marion Garner, Deputy Publisher, and Ann Jansen, Director of Audiobook Production, to celebrate and revisit 18 months of made-in-Canada audiobooks. Learn how PRHC adopted an audio-first strategy to release audio content simultaneously with print and digital editions, using Canadian acting talent for Canadian-authored books, while recording in studios both in-office and across the country. Marion and Ann will discuss the pains and successes experienced in securing in-house buy-in, liaising with traditionally print-focused departments, and developing manageable workflows as they discuss their plans for the future of PRHC's audiobook program. This wide-ranging conversation will be moderated by BookNet's Zalina Alvi. As a member of the BookNet team, Zalina uses the power of marketing to help the book industry publish, sell, and envision the future of books, whether they be in print, digital, or directly transmitted into the brain via biblio-lasers (patent pending). How do we discover books? Sometimes we ask people (bookstore and library staff, journalists, friends, family), but more often than not, we ask search engines (“thriller Brazil,” “kids’ books dragons") But these tools rely on the way books are described. Is the book actually labelled as a thriller? Do we know that the plot takes place in Brazil? How do search engines know that a particular book contains references to dragons? There are thousands of ways to describe a book and publisher time is limited. And book metadata is not always sufficient for all types of queries — any bookseller who's been asked to find a book by the colour of its cover can tell you that. Plus, discoverability is being increasingly performed through recommendation engines that are often based on historical sales data, not on the actual content of the books. Projet TAMIS was launched by Éditions du Septentrion (a history book publisher based in Québec City) in collaboration with Brix Labs (a consulting agency with a focus on technology applied to cultural industries) to address these challenges. Researchers are using algorithms, open source code, and free or cheap APIs to extract descriptive information about books from books and to do it at a granularity and scale that would not be possible for humans. These findings could have huge potential to enrich traditional metadata, as well as create new ways to discover books. This presentation will share some of the project's results, which will be made available online and provided to publishers in such a way to make it easy to upload them to their metadata aggregators. With 3 million records (and counting), BNC BiblioShare has grown into the go-to source for quality-assured book data in Canada. Find out what tools we've been working on recently to ensure all that data is easily accessible to retailers, the media, and other end users, and what plans we have in the works for building a faster and more powerful BiblioShare 2.0 in the coming year. Bibliographic standards are always changing to keep up with the ever-evolving realities of the book industry and it’s in the best interest of your business to keep up, too. Should you be using BISAC or Thema subject codes (or both)? Which version of ONIX are your business partners using? What improvements to your metadata should you prioritize for 2019? In this session, Bibliographic Manager Tom Richardson will answer your pressing questions and show you what’s new, what’s important, and what’s coming up in standards. Over the summer of 2018, the Association of Canadian Publishers conducted a baseline survey to measure the diversity of the Canadian book publishing workforce. This session will share highlights of the survey's findings, identify existing initiatives that are building inclusive workplaces, and explore possibilities for future efforts in this area. The latest statistics on Canadian book buying, reading, and consumer habits. Noah will answer all the questions you didn't know you had in this chart-friendly presentation. A closing ceremony to mark the official ending of Tech Forum & ebookcraft 2019 will be performed by Whabagoon, an Ojibway Elder of the Lac Seul First Nation. Join us in the concourse after the last session of the day for some light refreshments and unwinding with your fellow attendees and speakers. an overview of changes between ONIX 2.1 to ONIX 3.0. Materials will be provided to attendees closer to the date.